On New Year's Eve we packed up and drove the short hour up to Lake Como - first stop, Varenna! The road was practically in the water! We parked in a garage and then headed by foot into the city. Lovely lakeside village. We almost immediately took a detour down to the lake. The kids LOVE throwing rocks into water. I should make a collage of all the different places they've done so. Varenna is home to just 800 residents but offers the best of the lake-life. It has a romantic lakeside promenade, a cute harbor, narrow lanes, evocative castle ruins, and villas with gardens. 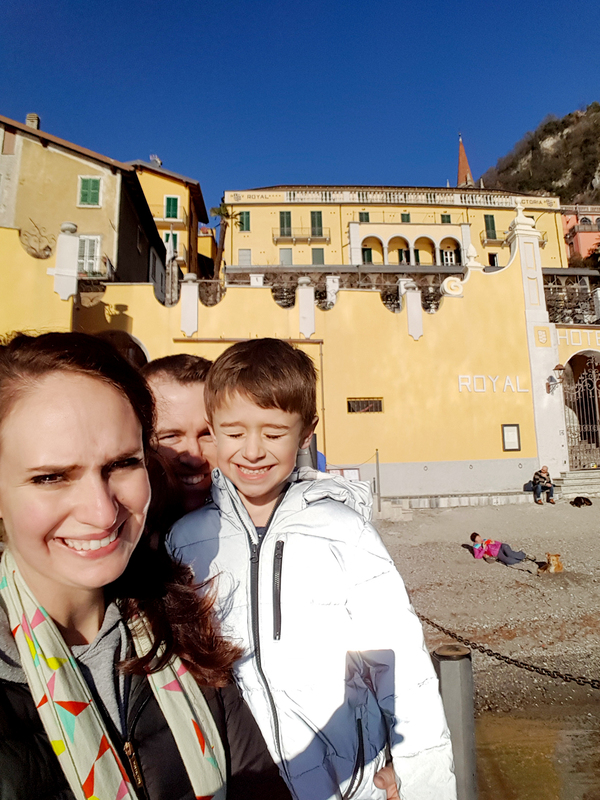 Our family (Jane is somewhere in there...) in Varenna, Italy on Saturday January 31st 2016. 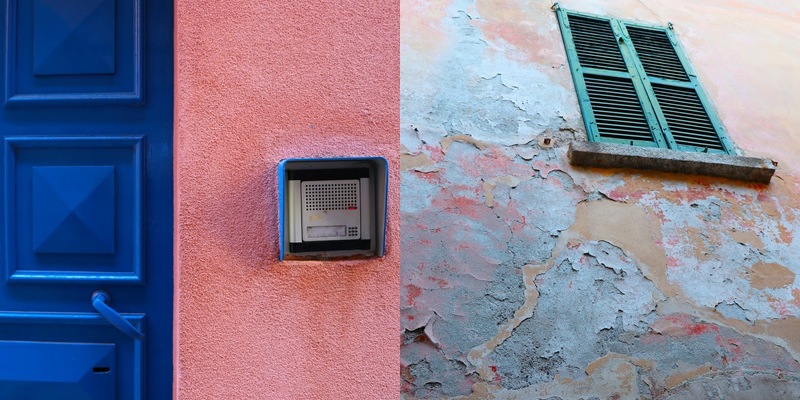 Put me in any city in Italy and I'll tell you it's Italy because they all use the same colors of paint lol! The Piazza San Giorgio has several churches fronting it, including the Chiesa di San Diego which dates from the 13th century. 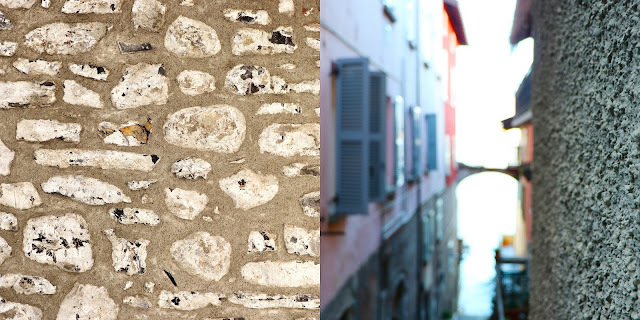 The are no true streets in the old town, just the characteristic stepped lanes known as contrade. 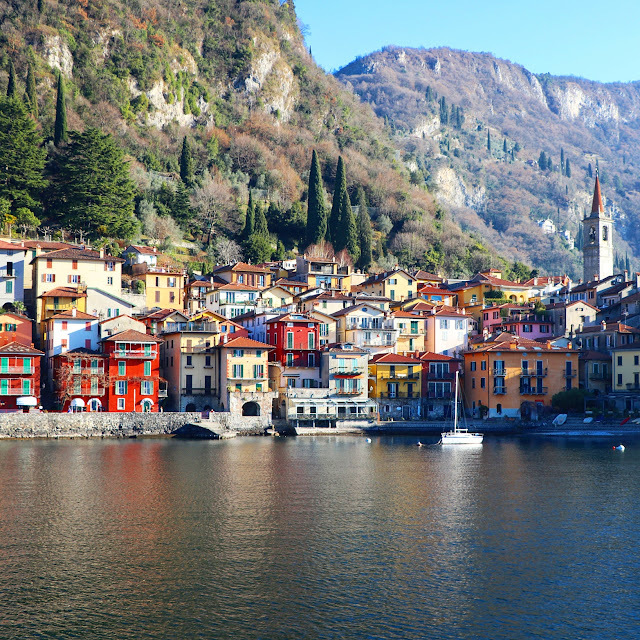 Varenna was originally a fishing community. The original little stone harbor dates from about 1600, but today the boats are just for recreation. 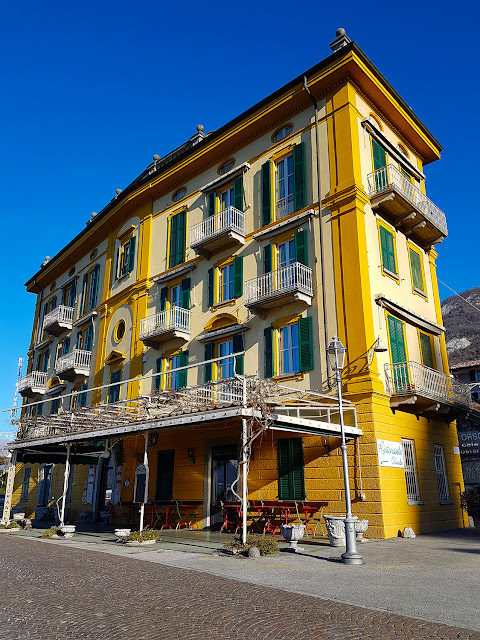 Italian homes in Varenna. 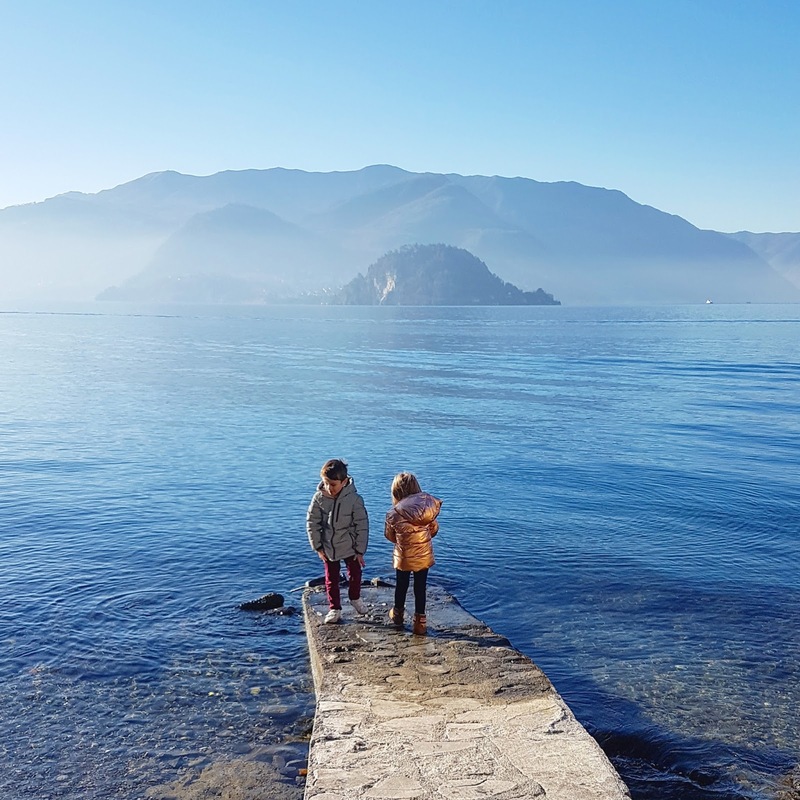 The passerella, the lakeside promenade. A generation ago locals built this walkway which connects the ferry dock with the old town center. Looking across the lake along the outlet of the little Esino river. The Hotel Olivedo has greeted ferry passengers since the 19th century. The hotel is named for the olive groves that are located just up the hill. According to locals, this is the farthest north olives grow in Europe. 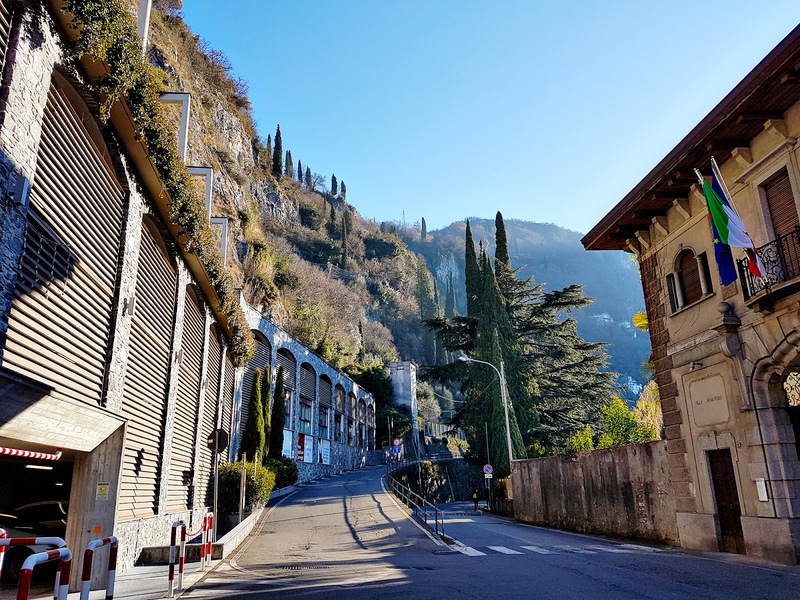 Another community, the town of Esino climbs the hill behind Varenna. 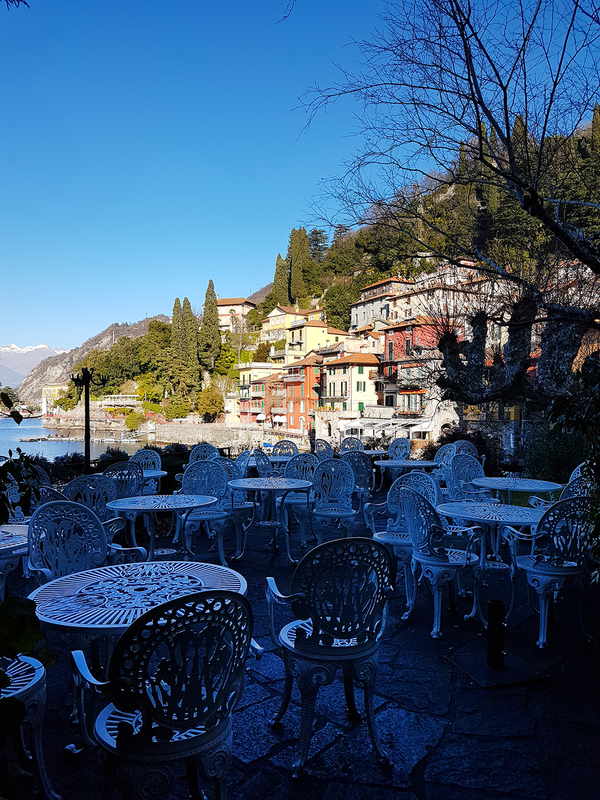 After walking around Varenna we boarded a ferry and headed over to Bellagio. And no we didn't see George Clooney! Bye for now Varenna! You're oh so beautiful! Lake Como in all it's glory. The lake is lined with elegant 19th century villas and crowned by snowcapped mountains. Ferries, hydrofoils, and slower recreational boats crisscross the lake during the peak season. 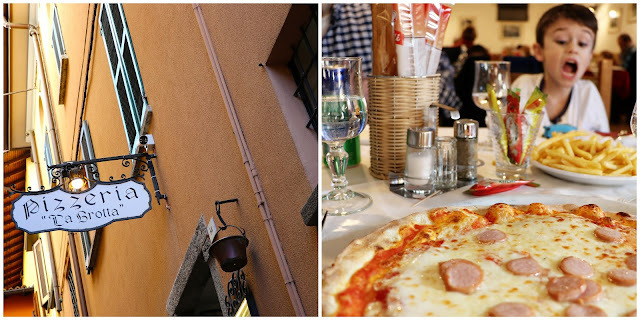 It's a great place to take a break from the sightseeing intensity of the rest of Italy. After a short ride we saw the swanky hotels on the banks of Bellagio. The town calls itself the "Pearl of the Lake" and is a classy combo of tidiness and Old World elegance. 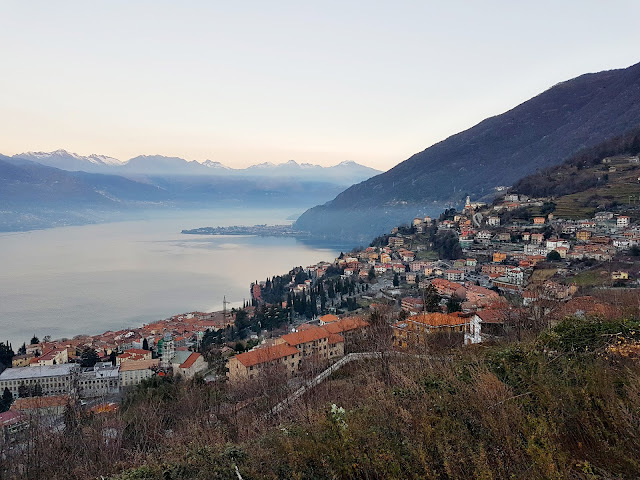 It's also a much more substantial town than Varenna (it has ten times as many hotel rooms!). This place is virtually empty during the winter. All of the hotels, stores, and restaurants were closed and boarded up. So we meandered the streets to see if we could find anything open. We found one place that was open and it was so nice and warm, the food was good and came out super fast! Cute lanes lined by classic Italian buildings. 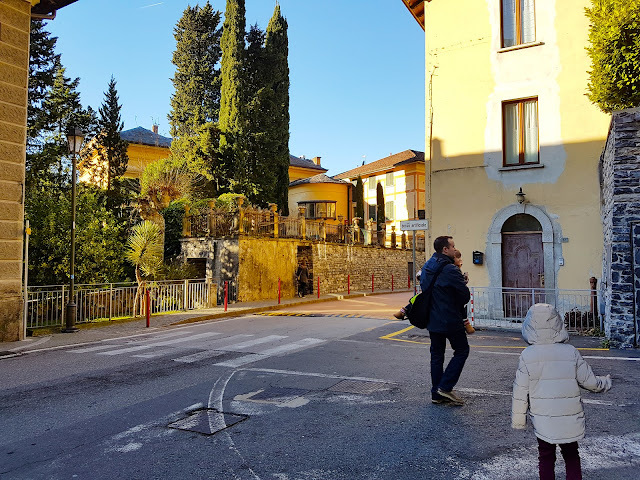 Our family in Bellagio, Italy on Saturday January 31st 2016. Bye bye Bellagio! We hopped back on another ferry to get back over to Varenna, our car, and airbnb. 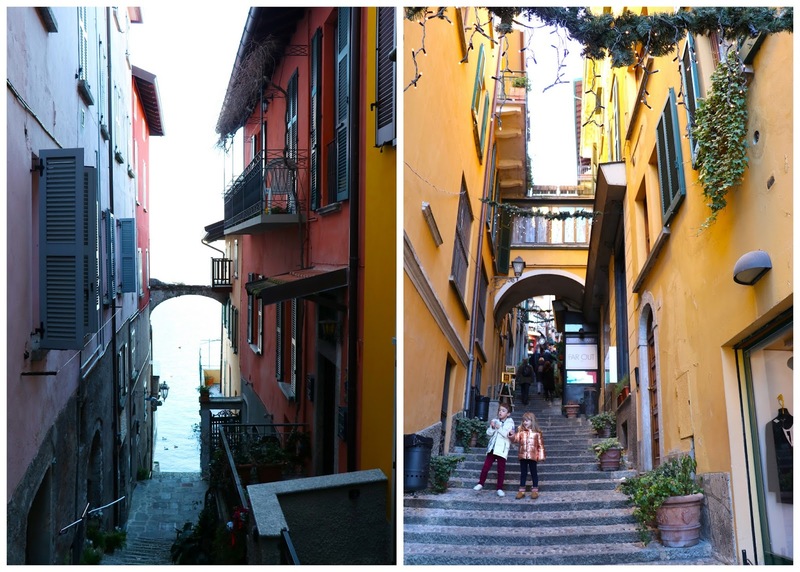 Hello again colorful Varenna! Another collage I need to make is all the playgrounds around Europe these kids have played at. In the summer I would love to come back and eat right here. Lovely day on the lake! We went to the "beach" again and let the kids throw more rocks. We found an airbnb high up in the hills overlooking the lake. It was teeny and cozy and cute and comfy. 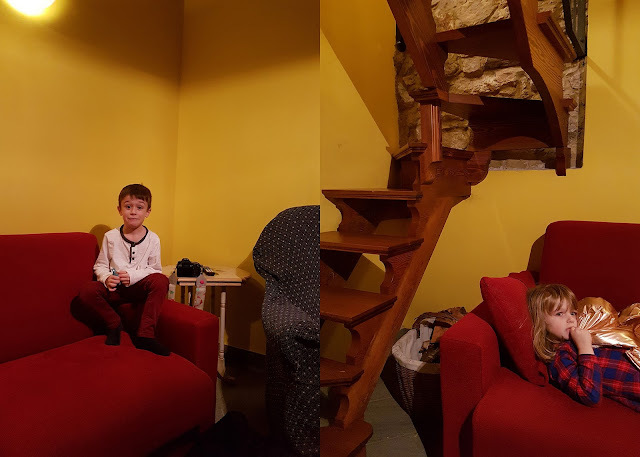 I read my book by the fire for hours while the kids happily played together. A perfect New Year's Eve. In the morning we got a great view before making our way back home. 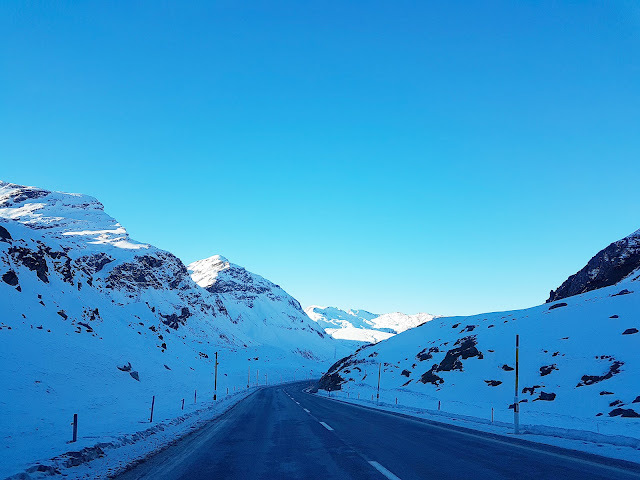 Mighty cool pass in Switzerland! 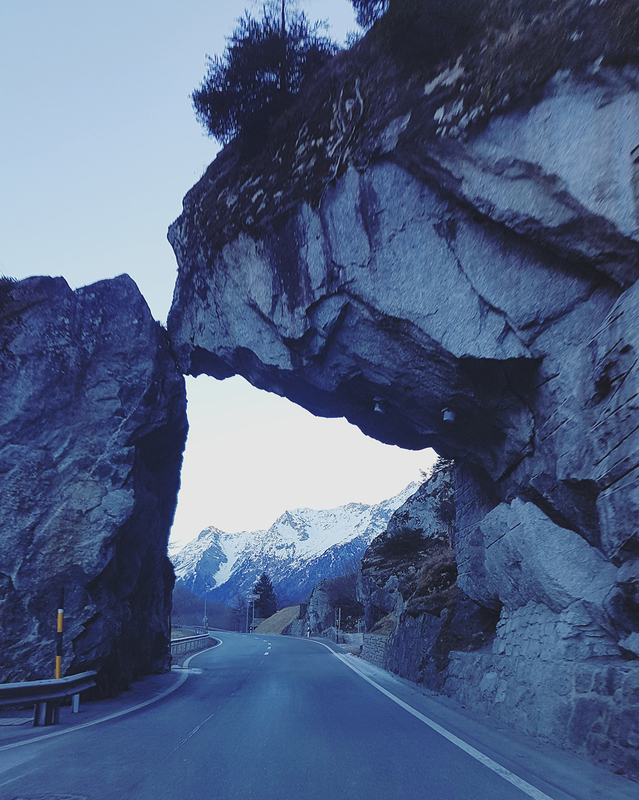 Our GPS led us super astray... but we got to drive through parts of Switzerland that we never would have seen otherwise! 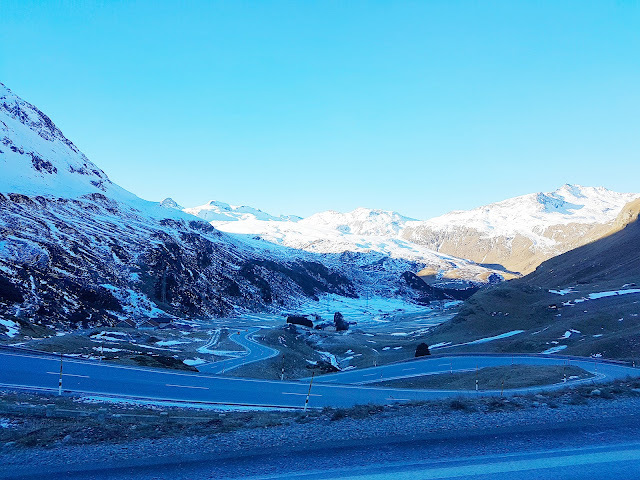 I should have counted how many switchbacks we made climbing up and over and through the Swiss Alps! It was a-plenty! It was a wonderful way to end 2016! Looking forward to all that 2017 has in store including our big move back to the states!